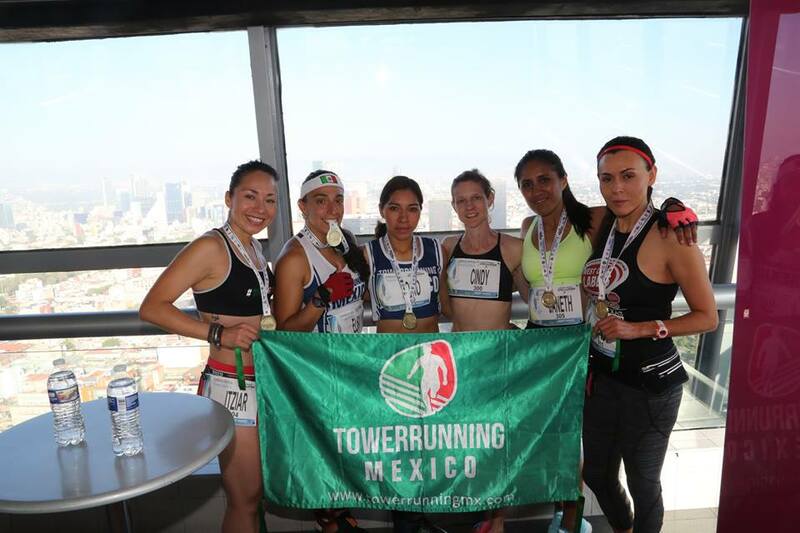 Torre Latino is an iconic building in downtown Mexico City. 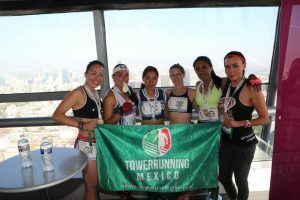 Built in 1956 it was the first skyscraper in Latin America and is a worthy venue for the yearly final of the Mexican Towerrunning series. 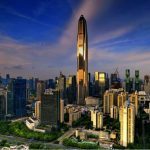 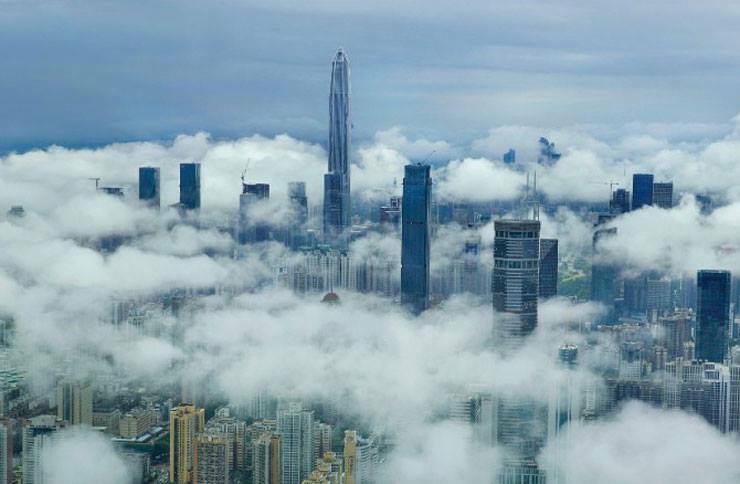 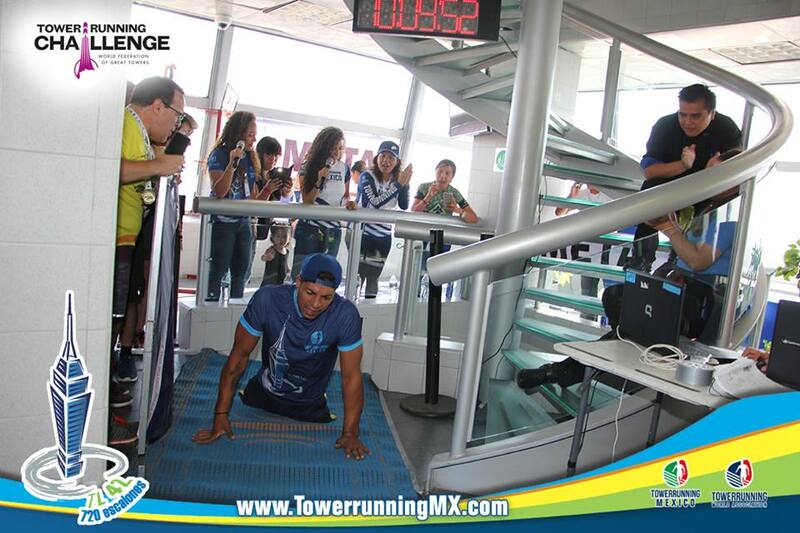 Athletes have to climb 42 floors with 720 stairs and almost 500 took the challenge again on June 3. 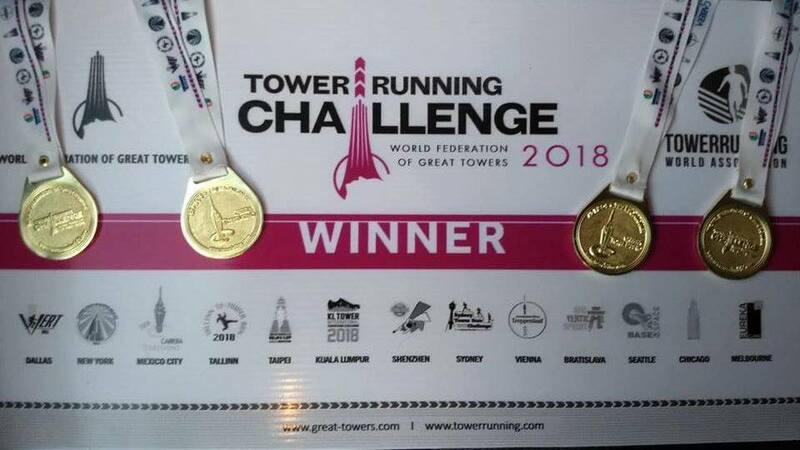 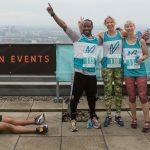 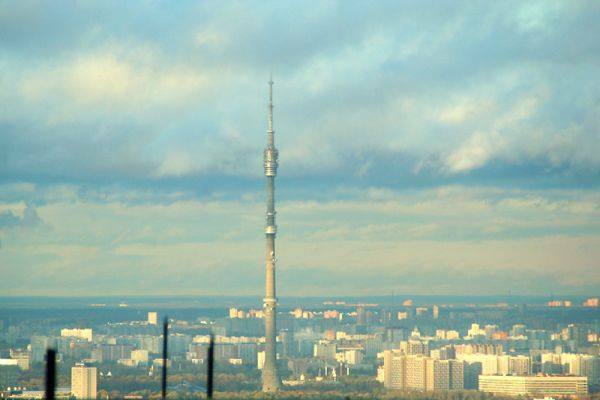 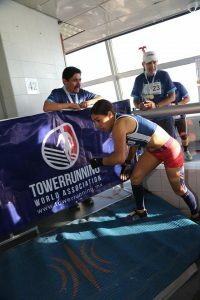 The race traditionally is part of the TWA Towerrunning Tour and the World Federation of Great Towers Towerrunning Challenge. 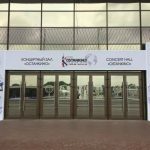 There are invitations for elite athletes and price money not only for the fastest overall racers, but for Master and Veteran categories too. 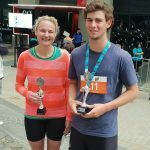 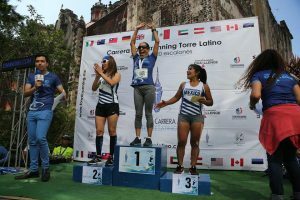 Another great aspect about this event and making it unique is, that challenged athletes are an important part of the competition and of course children are racing too. 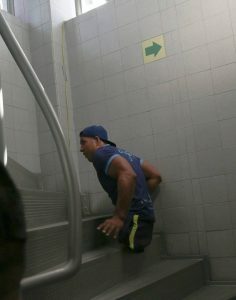 There was no surprise in the male race. 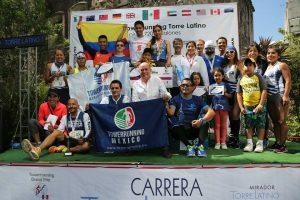 The Colombian favourite Frank Nicolas Carreno, one month ago Bronze medalist at the Taipei World Championships defended his title. 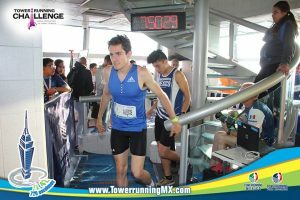 His 3:32 made him undisputed champion again. 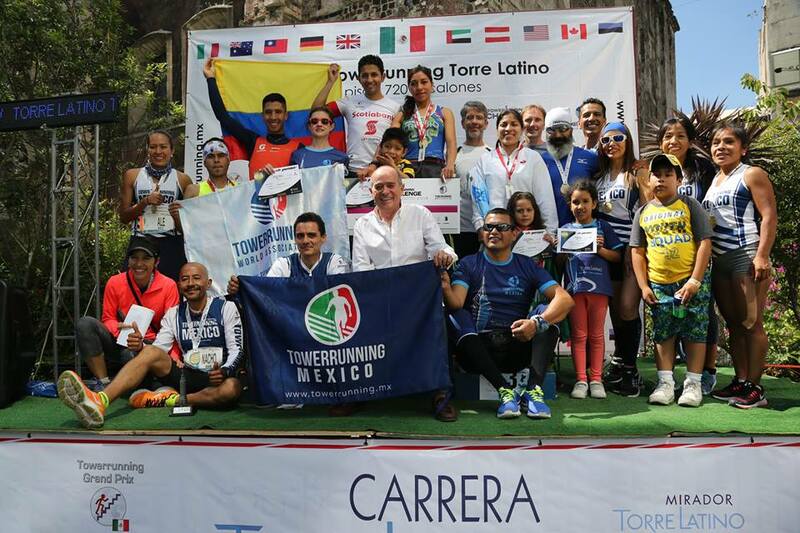 More excitement was in the race for the runner up spot and another Carreno took it. 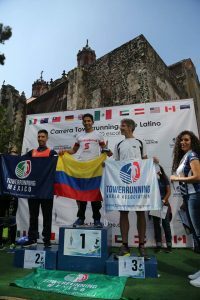 Frank’s brother Wilmer was the lucky one narrowly beating Görge Heimann from Germany, who after some near misses in previous years finally managed a podium spot.. An unwanted touch of dramatics was added, as last year’s runner up Alexis Trujillo was hindered by a closed door on his climb. 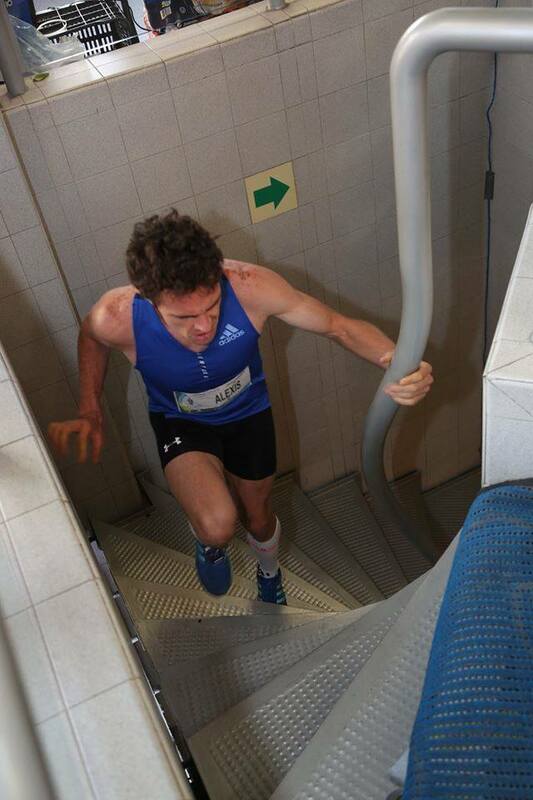 By general agreement he was allowed a second try, but nearly missed a podium spot then. 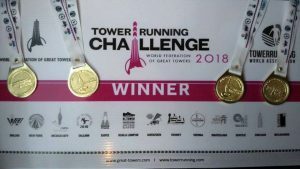 No new names but a new record at the females. 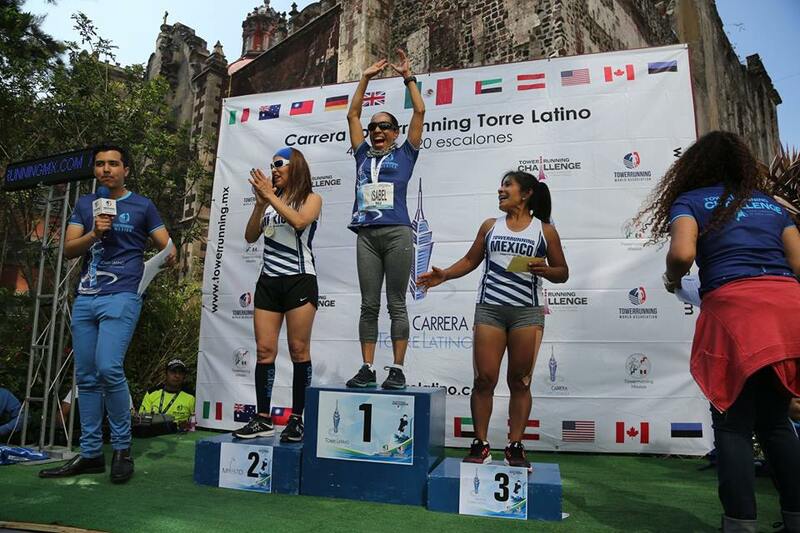 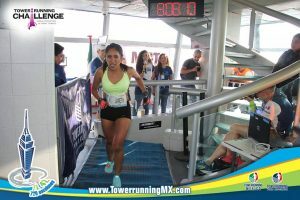 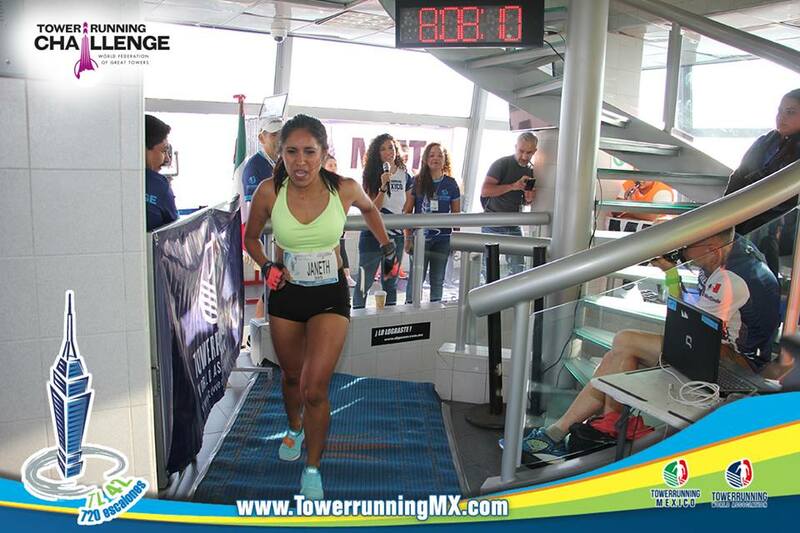 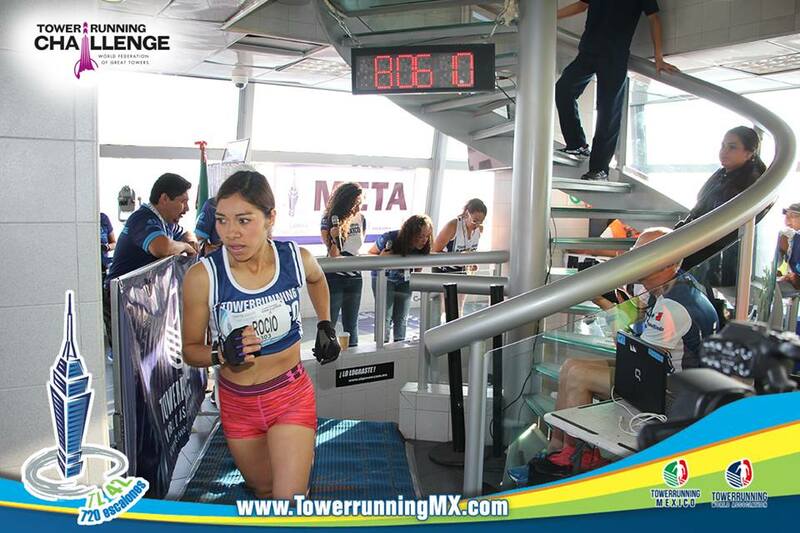 Mexican Rocio Carrera defended her title with a time of 4:41. 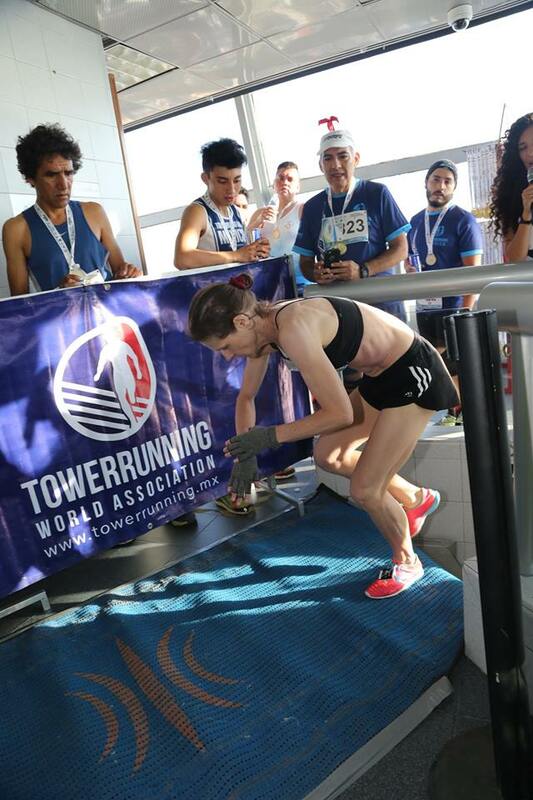 US Towerrunning legend Cindy Harris for the 3rd year in a row had to be content with the runner up spot. The podium was completed by another Mexican, Araceli Castillo. 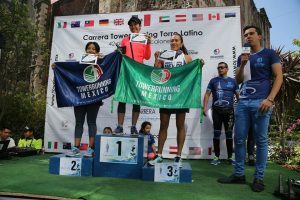 Looking at the other categories we note a couple win by Rosa Maria Gonzalez Torres and Ignacio Manrique in Masters and Veterans divisions respectively. 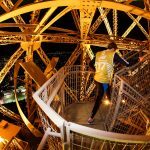 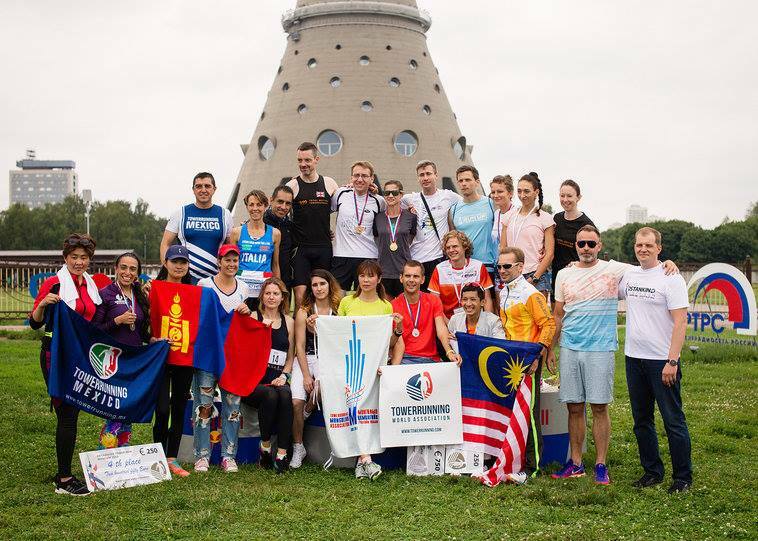 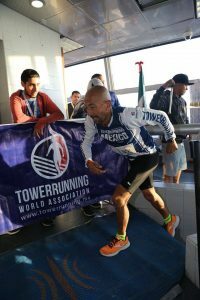 Special applause to the achievements of some visually impaired athletes and to double leg amputee Michel Munoz climbing the tower with his hands ! 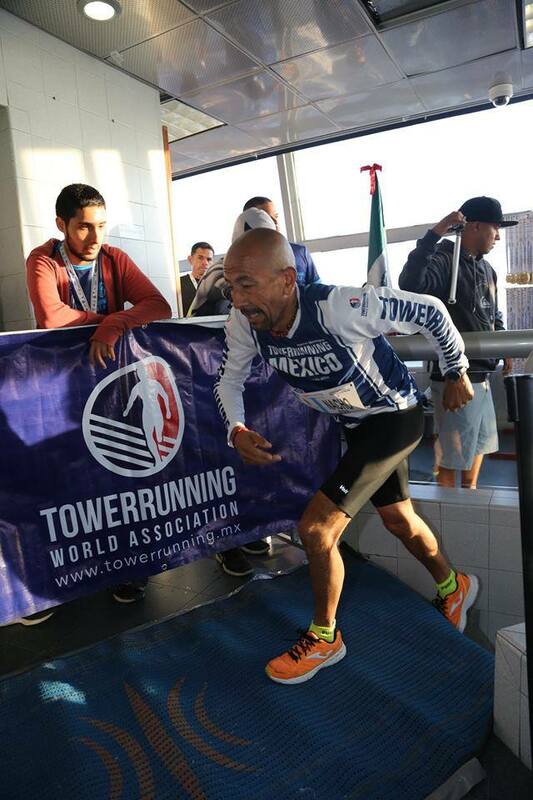 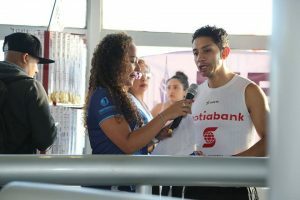 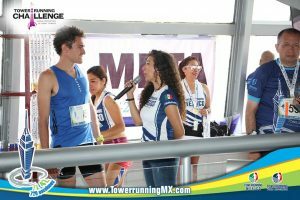 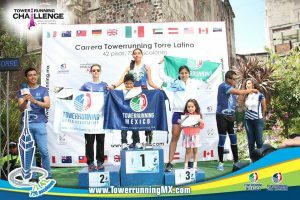 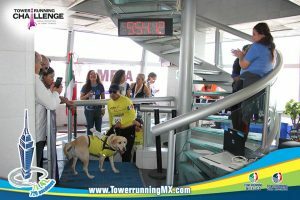 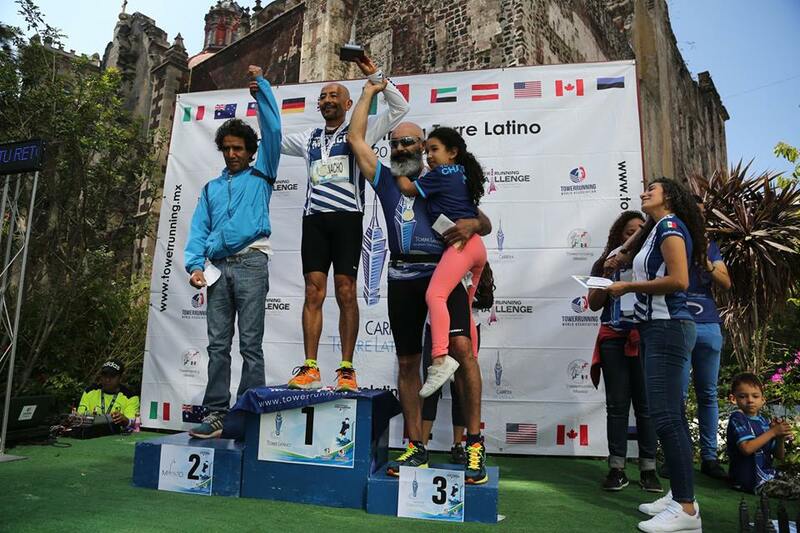 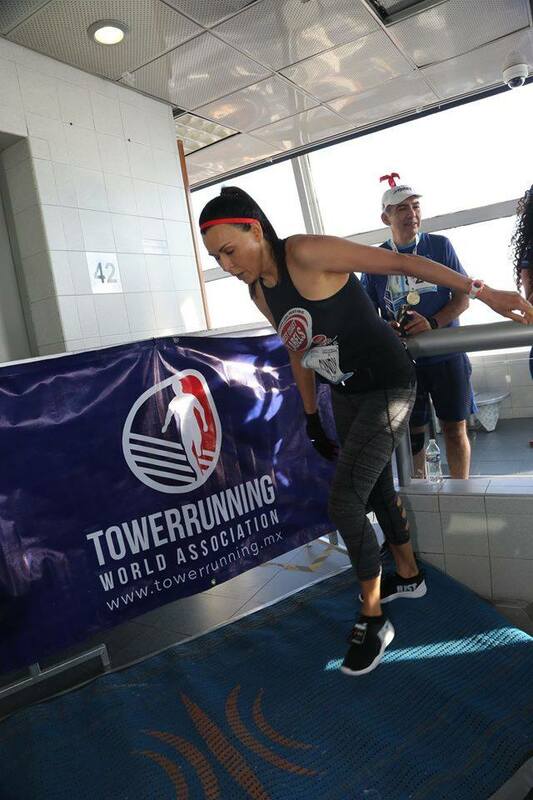 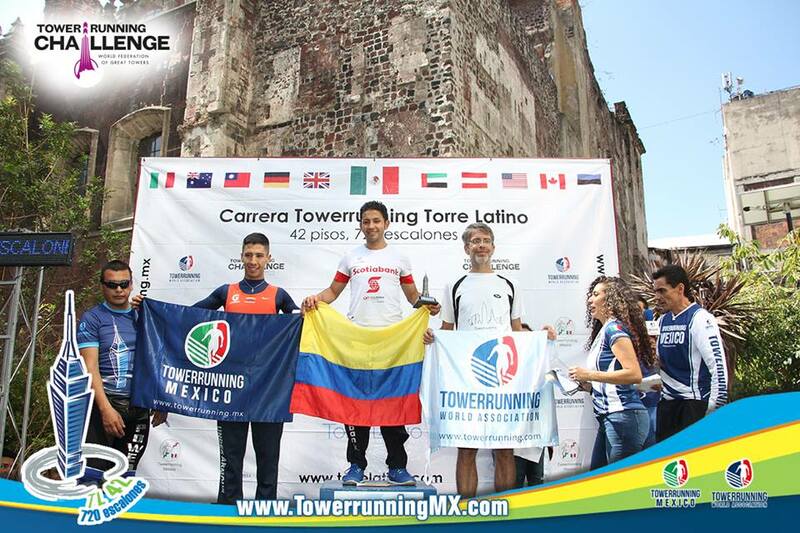 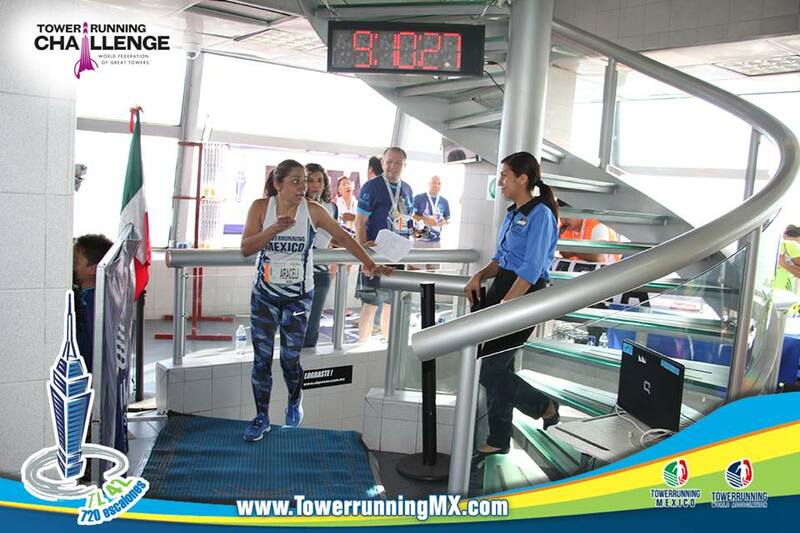 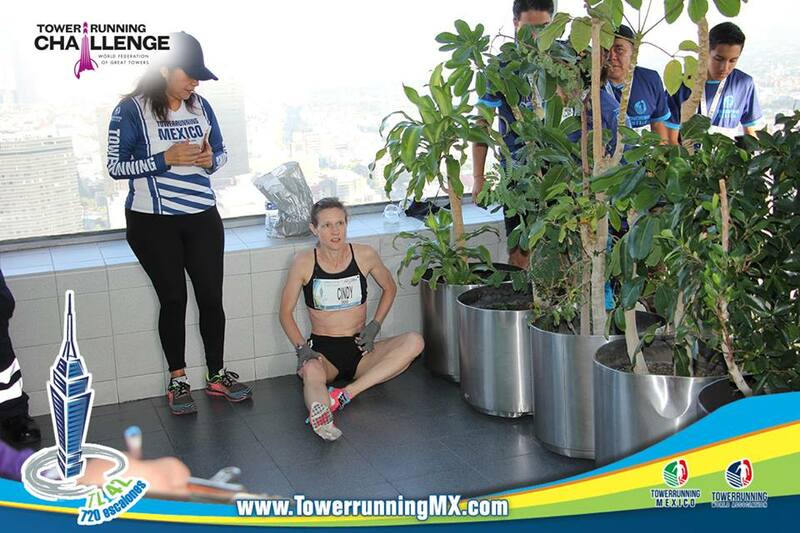 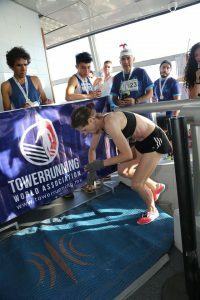 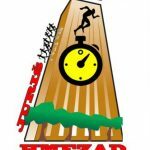 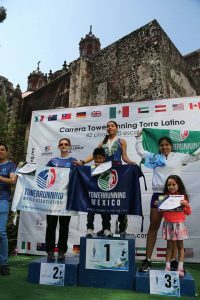 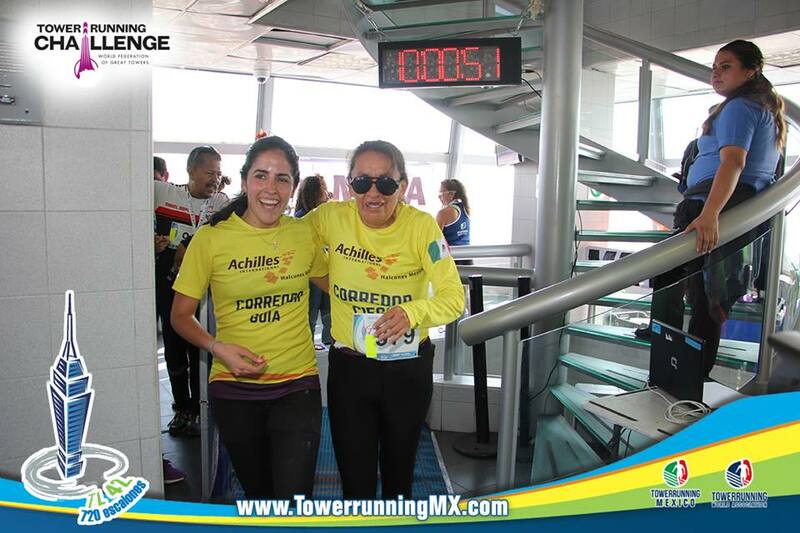 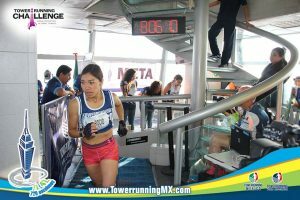 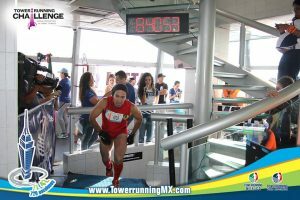 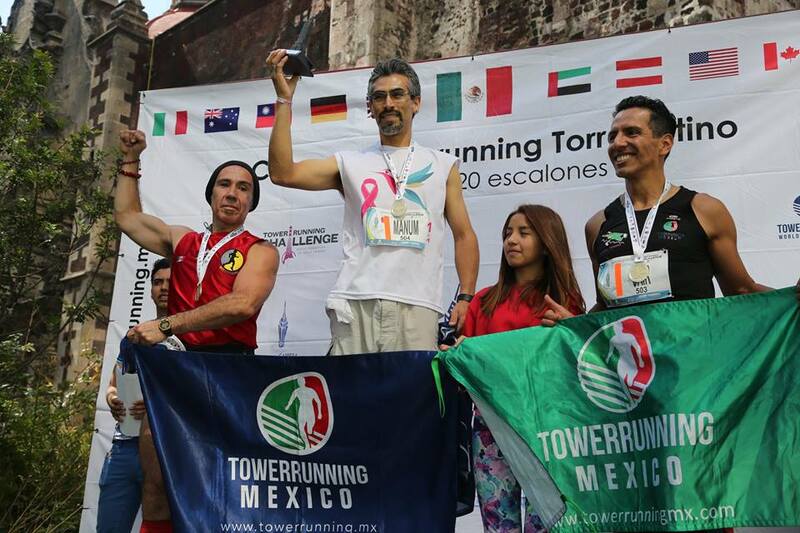 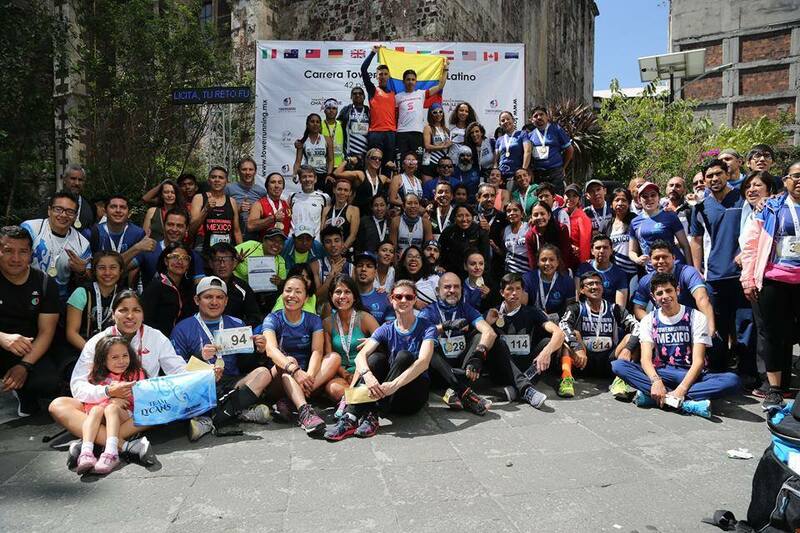 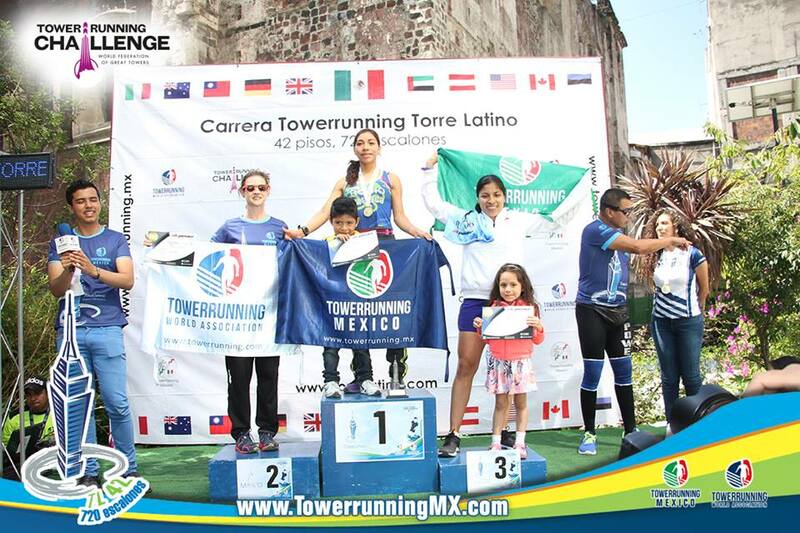 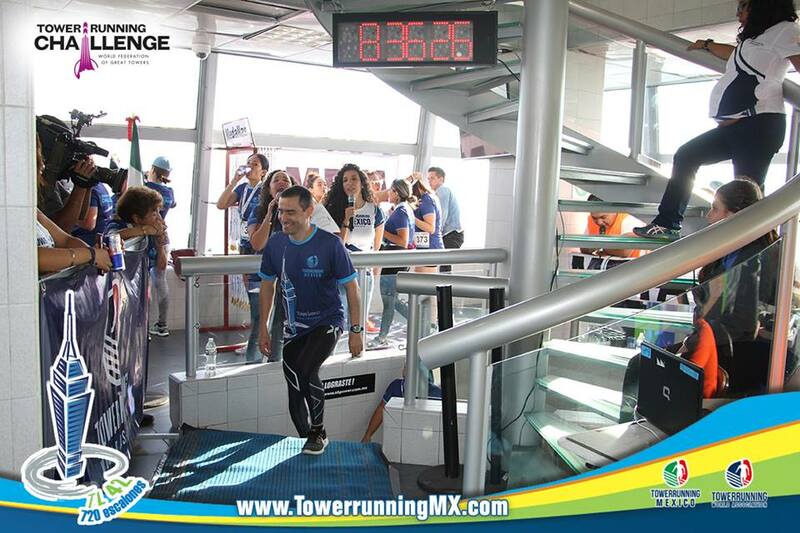 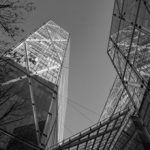 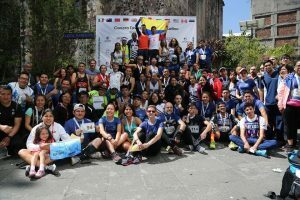 Like in the past three years we experienced a great event, organized in the proven way by Pedro Fossas representing the tower and Roberto Velezquez, President of Towerrunning Mexico, with his team.